Today I have a super fun project to share with you! 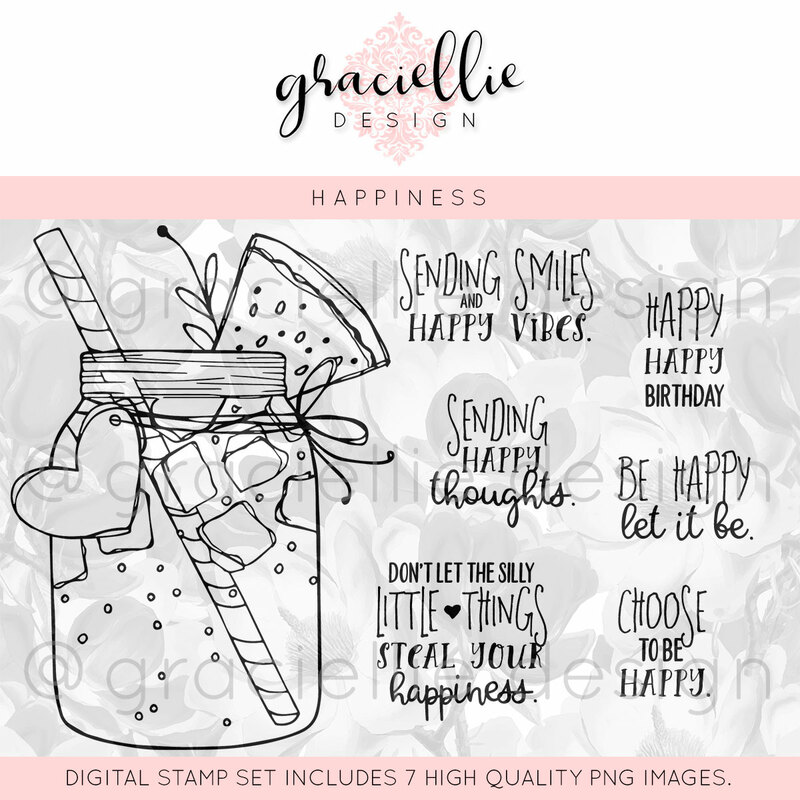 I used Graciellie's newest release (Happiness) to create a tag for a pillow box gift. 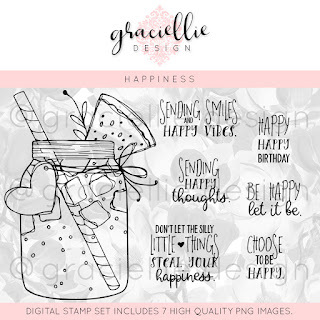 Don't you just love the fun jar of watermelon juice and all the happy sentiments to go with it?! What an awesome project! That stamp set is so fun..cute card! This little gift box would make me happy, I love watermelon! So cute! Beautiful pillow box and tag. Great summer tag with lemonade and watermelon! Thanks for playing with us this week at 4 Crafty Chicks! fun summer time gift box, love the speckled background! What a fun summery card! The drink looks great especially with the watermelon garnish. Nice speckled background too. Thanks for joining in for the challenge over at a2z Scrapbooking. That drink looks so refreshing! I want one! LOL! This is so pretty with those fun colors! Thanks for taking the Time Out to play with us! It's been really hot here and your card image looks good enough to take a drink from. So glad you joined us at A2Z Scrapbooking. Delightful project!! Thanks for linking up to our July challenge at a2z. Oh my! What a fun, fresh project! A nice little package of happiness! Thanks for sharing with us at Use Your Stuff and hope to see you again!